By Ann Brown --- Link to full story. A one-stop online destination of beauty products for women of color — that's probably the best way to describe The Dooplex, a newly launched e-commerce beauty platform. 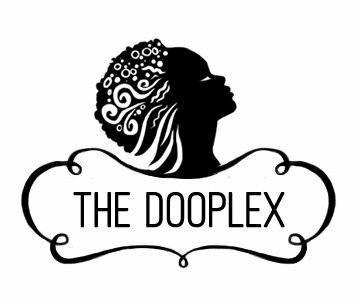 Founded by college friends Roger Fountain, Jacob Williams, and Kevin Lyles, whose family has run a barbershop since the 1980s, The Dooplex offers both hair and skincare products created and manufactured by Black and minority-owned businesses. There are products from such companies as BBD, KitiKiti, Indigo, and Dr. Earles. The Dooplex launched on Martin Luther King Jr. Day 2018, and also features a blog called "The Doo Rag" which aims to provide a space where people can converse about lifestyle topics like beauty, politics, life, and family. The founders of The Dooplex told MadameNoire how they find the products for their site and why it's the right time for a site like this. MadameNoire (MN): How did the idea for The Dooplex come about? The original idea for The Dooplex came from our CEO Kevin Lyles. His family's been in the Black beauty business since the mid-80s and after a long stint in Corporate America he came back to Gary, Indiana, to take over the family business and give back to his community. Kevin's a super-smart guy and after a few years it dawned on him that there were some really great Black regional brands that could benefit from a nationwide platform. MN: What does the name mean? Kevin Lyles (KL): In the Black community everyone knows what a doo is, so we just played with the word. It really has a double meaning. We bow down to our heritage but we also wanted to create a word that communicated who we are. The Dooplex isn't an afterthought for women of color, it's a primary destination built especially for them. A place where they can share their thoughts, shop, and feel wanted and appreciated. MN: How did you fund the startup? Roger Fountain (RF): No venture capital. No deep pockets. We're the little engine that will. We use family money our own resources and we work our asses off. MN: How does The Dooplex work? Jacob Williams (JW): Essentially, we're like an online Sephora, except our entire experience is focused on women of color. MN: How do you find the products to sell? KL: There is no shortage of great Black products out there. We have relationships with the brands we currently carry, but since we've launched brands are finding us. We not only look for high-quality brands, but we also look for brands that care about their community. MN: What makes the Dooplex different? KL: We are political. We are Black-owned and all of our products are manufactured by Black and minority-owned businesses — and that will always remain true. MN: How do you market The Dooplex? We use social media and hired a young, scrappy publicist who is a genius. We also have a newsletter, the Doo Rag blog, with sections such as "Women We Admire" and "Black-Owned" where we communicate our point of view. We are an e-commerce site, but we're also a sounding board for our community. We are them and they are us. Their politics are our politics. Their concerns are our concerns. And their desires are our desires. We hear them. So, yes we are selling products but we're also a place to communicate ideas and passion. Quite honestly, Black women have been burned over and over by companies promising to have them in mind only to offer back-of-the-bus marketing and second-rate "ethnic aisle" products. That will never happen here. MN: What are your goals for 2018? RF: We intend to continue to build awareness and trust in The Dooplex brand. Also, midterms are coming up, and we want to make sure we can do whatever we can to get people of color to the polls. MN: What advice would you give others on working with friends? JW: Work hard. Stay focused. Leave your egos at the door and keep your eyes on the prize. Stuff is gonna' happen, both good and bad, just remember why you started what you started and never forget you are stronger together. In other words, sh-t happens. Get over it.